The Institute for Translational Medicine (ITM) welcomes a new director to co-lead its city-wide organization made up of the University of Chicago, Rush, Loyola University Chicago, NorthShore University HealthSystem, Advocate Health Care, and the Illinois Institute of Technology. World-renowned ethicist and pediatrician Lainie Ross will become the ITM’s director and co-principal investigator of the National Institutes of Health (NIH) operating grant that fuels the ITM effective July 1, 2018. Ross will join current directors and co-principal investigators Julian Solway, MD, Dean for Translational Medicine at the University of Chicago, and Josh Jacobs, MD, Vice Provost for Research at Rush, to create and oversee the ITM programs that help make research breakthroughs happen. And Ross is no stranger to the ITM. She returns to the leadership team after taking a sabbatical to pen her latest book, “Defining Death: The Case for Choice,” an exploration of the definition of and ethics surrounding death. 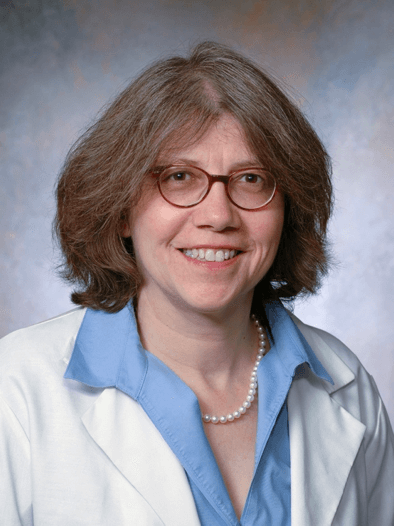 University of Chicago’s Susan Cohn, MD, served as the ITM’s director and co-principal investigator in Ross’s absence. Cohn said she is passing the baton in order to focus on her responsibilities as Dean for Clinical Research and Chief of Pediatric Hematology/Oncology. Cohn, Solway, and Jacobs said that Ross will bring strong leadership and a unique background in ethics and patient care to the ITM. Ross has published more than 150 research articles on the ethics of organ transplantation, genetic testing, pediatrics, and protection of health research participants. She has also authored two books on pediatric ethics and co-authored 2 books on death and organ transplantation with Robert M Veatch. She serves as associate director of the MacLean Center for Clinical Medical Ethics, chairs the National Institutes of Health (NIH) Special Emphasis Panel on the Societal and Ethical Issues in Research (SEIR) and is a member of the Board of Directors of the American Society of Bioethics and Humanities. Ross said she looks forward to helping the ITM usher in a new era where participating in clinical research is a normal part of people’s lives so that breakthroughs can be made and shared faster than the current 14-year average. Connect with Lainie at lross@peds.bsd.uchicago.edu. For more information, contact Sara Serritella, Director of Communications, at sara@chicagoitm.org.